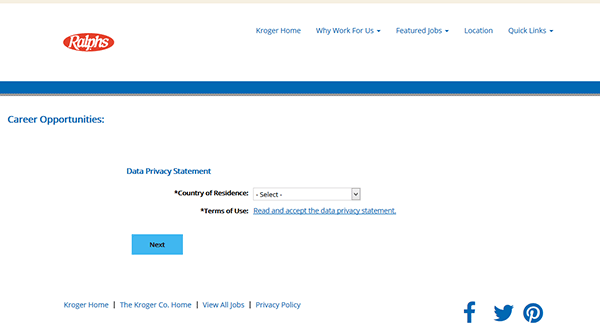 The Ralphs job application is available via the company’s jobs site. The jobs/careers site can be accessed by clicking one of the links on this page. Follow the instructions in the guide posted below to learn how to navigate the careers page, search for current openings, and complete/submit the online application. About the Company: Ralphs is an American chain of supermarkets headquartered out of Compton, California. The company has over 200 locations throughout throughout the Southern California area, and was founded in 1873. 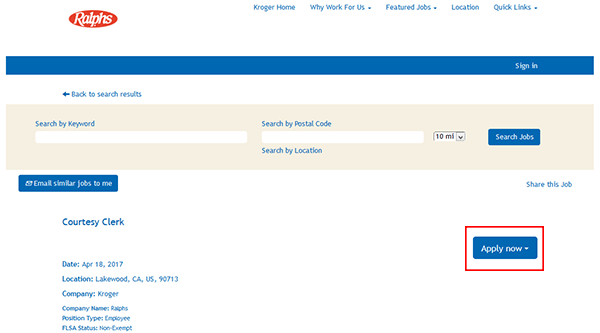 Step 1 – Click this link to open the company’s job search page in a new browser tab/window. Step 2 – Scroll down the page to view the complete list of openings. 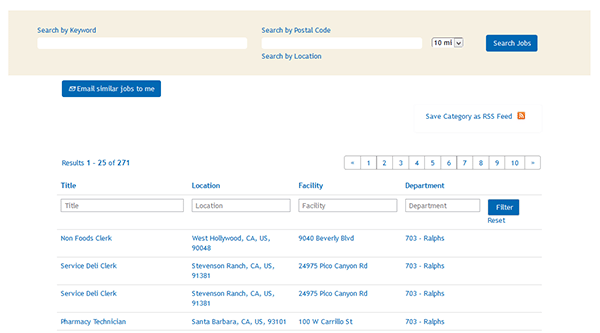 Step 3 – The results can be filtered by title, location, facility, or department. Step 4 – When you’ve found a job that you want to submit an application for click the position title (link) to go to the next step of the process. Step 6 – Click the button as show in the below image to move to the next step. 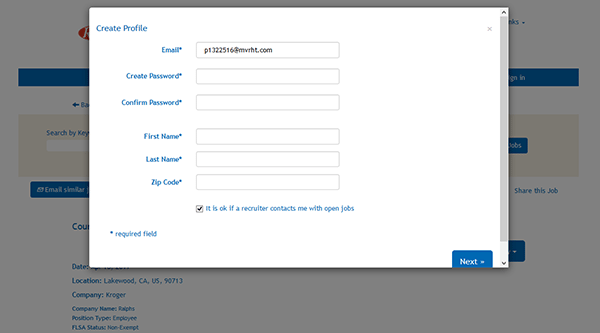 Step 7 – Enter your email address and then click the “Start” button. Step 9 – Select your country of residence from the drop-down list and then read/accept the data privacy statement. Step 10 – My Documents – Use this subsection to upload your resume, CV, cover letter, or other support documentation.